Ok I didn't invent the entire recipe here, but I certainly changed it up a little and I encourage you to play with it as well because it is TASTY! 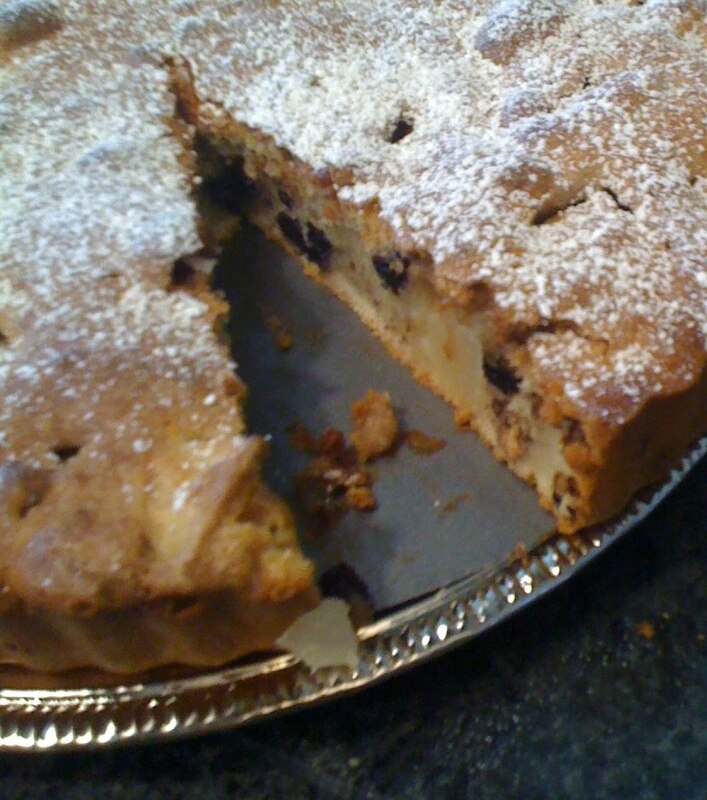 I found a similar recipe online but it called for dried cherries and there was no booze in it and the almond paste it originally called for was like $20 at the store (ridiculous!) and so forth, so here is my version. It's beautiful. Preheat oven to 350 degrees F and spray a pan with a removable bottom with the nonstick butter spray. Put aside. Beat 2 eggs, 2/3 cup sugar, oil, milk, frangelico, and vanilla in large bowl until smooth. 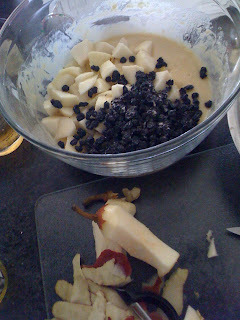 Stir in blueberries and pear. Transfer batter to pan. Take chestnut paste, 1 egg, cinnamon, 2 tablespoons sugar and 1 tablespoon flour and mix together. Spread on top of the batter in the pan. Slide pan into oven for 1 hour. Take out, sprinkle powdered sugar on top. looks delicioso. me want some.